It should come as no secret that I like pretty much everything edible that comes out of Hotel Chocolat. As a family we have been subscribers to their Tasting Club boxes for as long as I can remember (the next time I remember to photograph one of their tasting boxes before we dive into it the moment it comes though our letterbox, I’ll let you know a bit more about it in a blog post), Christmas stockings always mean little bits from their Christmas collections, as well as my favourite Caramel Drops and Pink Champagne Truffles (the best ever! 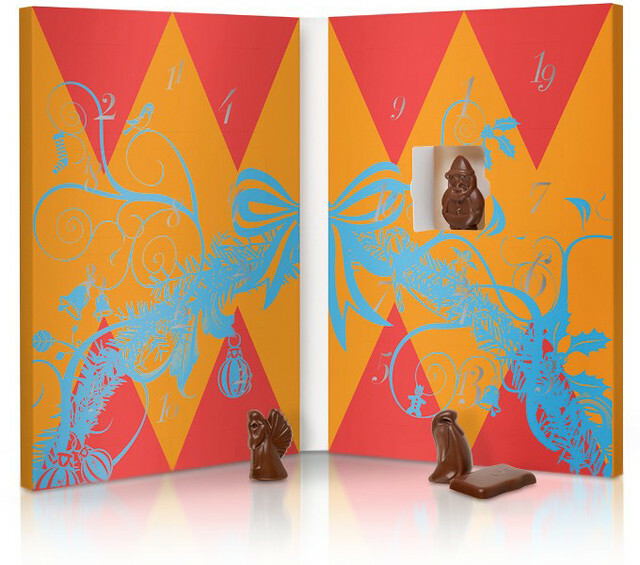 ), Easter means one of their fantastic boozy truffle filled, thick shelled eggs, and birthdays sometimes often mean their indulgent giant slabs too. They also have wonderful customer service. 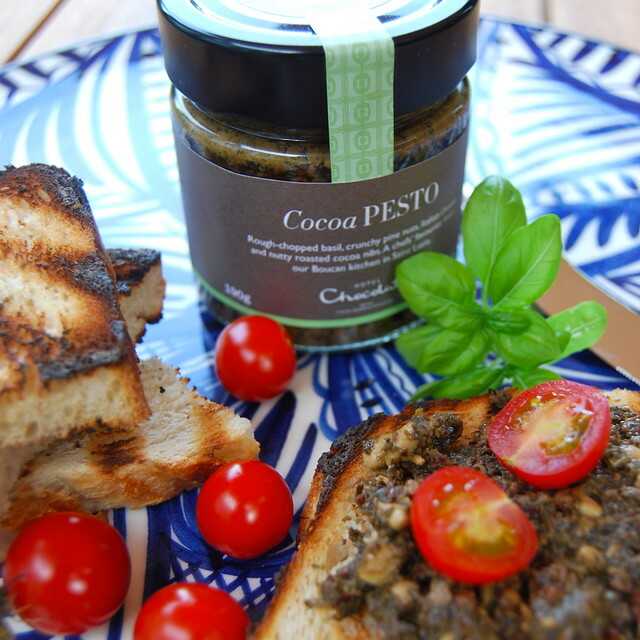 So, you can probably imagine my excitement when the press release for their new ‘Cocoa Cuisine‘ collection landed in my inbox, as well as the offer of sending over a couple of jars of the new pesto; both for me and for you guys arrived. First, the collection. As well as a Cocoa Pesto (£8), it includes a White Chocolate Horseradish (£8) (anyone who has ever eaten in Wagamamas will know this will probably make a wicked chocolate cake), a Savoury Cocoa Mayo (£8) (this pesto is also in fact delicious mixed into regular mayo as a dip for potato wedges), a Cocoa Chutney, a Cocoa Gin (£15), biscuits and all the things they’ve been selling for a while like cocoa powder and drinking chocolate. 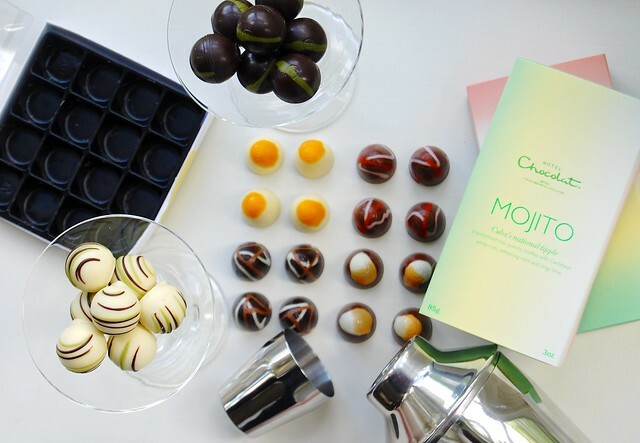 Essentially, the collection is great for people who like straight out luxury food stuffs, and high quality ingredients for your own creations. 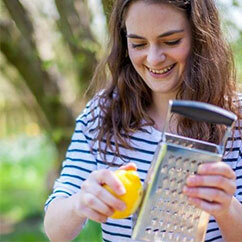 As for the pesto itself it is unlike most pestos you’d have had before, even homemade versions. It is very unique. 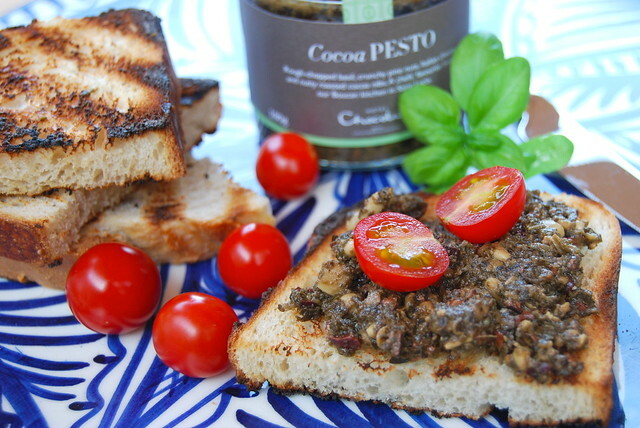 The cocoa gives it a richer, more nutty taste and it is much chunkier than your average pesto; pretty much all of the pine nuts are whole, which gives it the most fantastic bite. While I originally intended it to be part of a recipe I found that it does not need any messing around with; serve it as a lunch or a starter on toasted thick slices of bread (I toasted these pieces on the barbecue while it was heating up to cook steaks) and fresh, ripe and plump cherry tomatoes to add a fresh burst to every other bite. So, the team at Hotel Chocolat have given me two jars of their new Cocoa Pesto to giveaway to you guys. All you have to do to be in with the chance of getting your hands on a jar is to head over to the Rachel Phipps Facebook Page (make sure you have ‘Liked’ it), and hit like and share on this post about Hotel Chocolat’s Cocoa Pesto. Unfortunately this competition is open to UK residents only, and it will run until September 9th. Good luck, and I’d love to hear in the comments section what you’d use the pesto for, or your thoughts on the range.